Abstract: This article gives an overview of MVC# - a Model-View-Presenter framework for .NET platform. It firstly explains the MVP pattern essentials and then walks through the key features of the MVC# framework which help building true MVP-based solutions. One of the most fundamental approaches in software engineering is the Layered architecture. It implies dividing a system into several interacting layers with certain limitations imposed on how layers may interact.s Layered architecture finds its application in various systems for example net protocols (TCP/IP layers), operating systems (three layers: core, drivers, applications) and others. 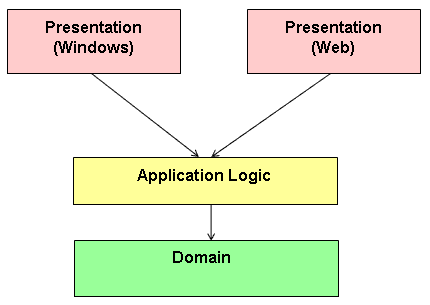 A particular case of layered architecture is the 3-tier architecture with its variations: Model-View-Controller and Model-View-Presenter. Before considering MVP (and MVC) let us discuss the general 3-tier architecture and its difference to the conventional programming style. 3-tier architecture is rather abstract. While it declares an existence of three layers, it says nothing about classes in these layers and their interaction. A much more precise form have two 3-tier architecture variations: Model-View-Controller and Model-View-Presenter. Let us proceed to their discussion. 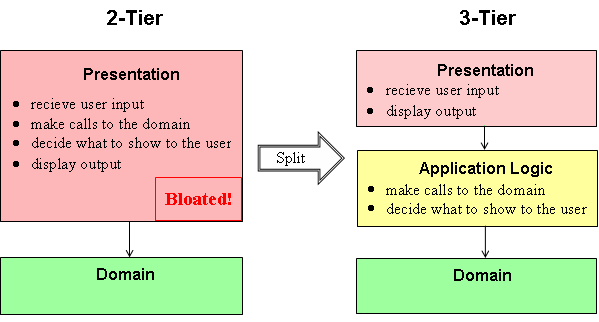 In MVC controllers affect their views by changing the intermediate presentation model, which the views are subscribed to (by observer pattern). This makes views pure observers without direct access to them. MVP on the other hand violates this "pure observer" rule by providing a direct link from a controller to its view. This makes MVP more handy as compared to MVC. The said differences make the MVP pattern more attractive than MVC from the developer's point of view. And indeed MVP was designed to be an evolution of MVC and to improve the latter. 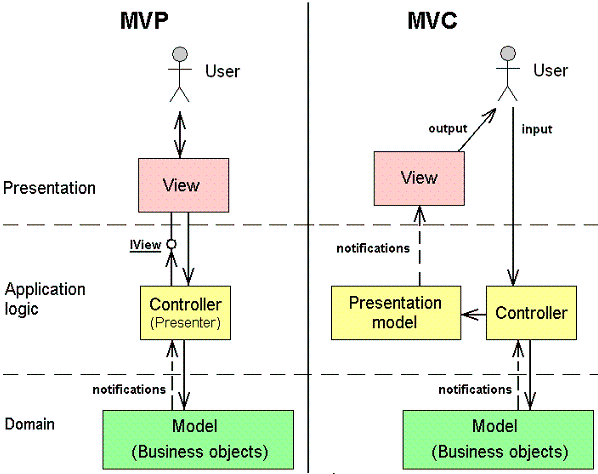 That is why we often refer to MVP as "sharp MVC" and therefore the name our MVP framework is MVC#. Another useful feature of MVC# framework, although not directly related to the MVP pattern, is the Task concept. A task unites several views with their controllers in fulfilling some job. For example a ticket booking task may consist of two views: one to choose a ticket, the other - to do the payment. 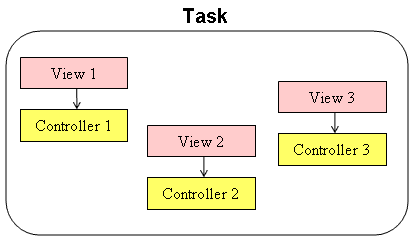 In MVC# all controllers within a task are given a link to the task object. Generally a task can be expressed as a workflow or a state machine. MVC# framework frees developers from much of extra work required in construction of Model-View-Presenter applications. It allows creating flexible MVP-based application with almost no extra cost. For more information on MVC# including the examples of using it see the project web site.